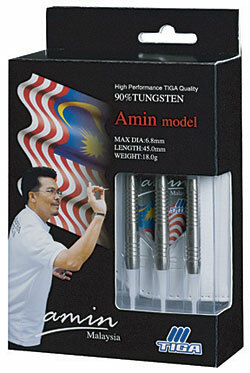 When Tiga signed world class dart players, Ray Carver from the US and Amin Abdul Ghani from Malaysia, they wanted to create dart models that would enhance each player's strength. 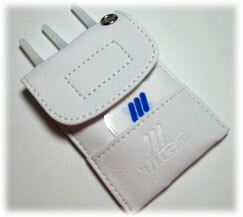 Judging on their respective performances, they got it right with these 90% tungsten darts. Ray Carver from the US wanted to maximize his performance. Amin wanted to enhance his pin-point groupings. Both are happy with the results. You will be too. 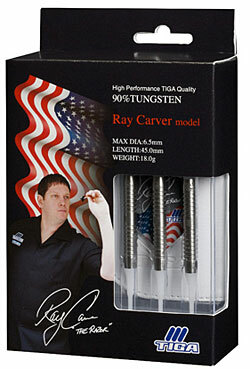 The model developed for US player, Ray Carver. 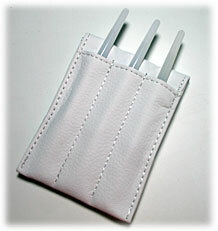 Comfortable grip with square cut grooves.